What is the Role of Prescription Topical Pain Solutions? Arizona personal injury and Phoenix workers compensation doctors and other medical personnel are always on the look out for new and innovative tre atments. Through collaborations and thorough studies of specific diseases, researchers have come to a better understanding of many common health issues. Along with this new information come many potential new treatment options, such as prescription topical pain medications. These pain creams have been instrumental in allowing patients to receive better pain relief while decreasing the amount of opiate medications necessary for pain relief. Symptoms may be present internally long before a patient becomes aware that there is a potential problem brewing within their body. This is often the case with diseases that affect the nervous or skeletal systems. Persistent muscle discomfort, joint pain, and inflammation are usually a good indication that a person should seek medical attention. 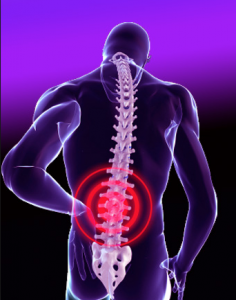 This may be a result of a work injury or an auto accident, requiring an evaluation from a Phoenix injury doctor. Topical pain creams are often used as a treatment for acute injuries and chronic illnesses. They are easily applied and convenient to use. They provide relief from burns, scrapes, and rashes that occur as a result of an accident or some other skin reaction, often a virus or allergy. Prescription topical pain solutions are also the preferred method of dealing with arthritis and neuropathy symptoms. They typically work by numbing the affected area and then absorbing into the skin to provide further relief of painful sensations. When topical pain solutions are not sufficient or the symptoms are not related to skin inflammation or nerve damage, Arizona workers compensation physicians may prefer to use an orally ingested medication. Examples of when this may be an option is for headaches and managing some internal conditions such as pelvic pain. The side effects of oral solutions are higher and last longer than those that may be present with prescription topical pain solutions. Since the topical solutions are not absorbed by the blood stream, the potential for side effects is minimized.